Ask fellow campers about "Twin Buttes RV Park" and nearby attractions. Twin Buttes is a basic desert camp-ground that is an excellent place to stay while visiting the many sights in the area. The park host is a very friendly and accommodating woman who will see that you get settled in your site, have what you need, and can tell you about the many great places to visit in the area. There are a few long-term residents but the park is very neat and tidy. As others have stated the social hour is friendly and a great way to relax after travelling or sight-seeing all day. My site was plenty long enough for my 40' fifth-wheel and truck. We camped at Twin Buttes RV Park in a Fifth Wheel. The area has a lot of historical places to see. Nearby Bisbee is a fun little town to visit. There great restaurants and an old copper mine and related museums to visit. Douglas is also fun to visit. The Gadsden Hotel has an excellent restaurant. Owners were especially accommodating and welcoming. We (as baby boomers) felt right at home. There are many long term campers there and they were willing to share their knowledge and insights of the area's attractions. Park has roomy all pull through spaces, and a rec room with amenities such as laundry, work out weights and stair climber, and a free book exchange. Card games are played regularly for those wanting to join in. We camped at Twin Buttes RV Park in a Motorhome. Good access to border crossings (for dental work) and close to the old mining town of Bisbee. Also just over an hour away from Chiricahua National Monument. Able to walk from camp to some nearby hiking on the Buttes. I am a long term camper at this facility due to my work in the area and go home on the weekends. This campground is basic, clean and has just about everything a camper would want without the "bling" of a campground resort. The people here are down to earth friendly folk who will go out of their way to help if there is a need presented. Wifi is basic, but will work well if you use it in the Rec Room (converted mobile home). The evening get together is a fun event to just have pleasant conversations and share some stories and snacks. No pressure to participate, but everyone is welcome. It is perfect for my needs and others who want a basic camping experience, but need 50amp electric, water and sewer hookups. Highly recommended for a clean Arizona desert camping experience with fantastic mountain views and desert scenery. 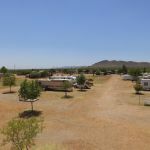 We camped at Twin Buttes RV Park in a Fifth Wheel. The people were rude, the owner and patrons where drunk pretty much every night we were there, and it is NOT a kid friendly campground. 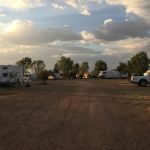 We camped at Twin Buttes RV Park in a Travel Trailer. This appears to be mostly a trailer park for long term residents, such as local workers and snow birders. It is reasonably clean, inexpensive, and quiet. Sites are gravel/dirt and level, and dusty. Wireless internet is now available at $1/day. There are limited amenities, but there isn't much RV park choice in this area, and this is about as good as it gets. Be advised that the nearest 'anything' is about 10-12 miles in either direction so plan your gas, propane, and grocery needs accordingly. As mentioned there is a very friendly late afternoon get together where you can find out just about anything you want to know about the local area. My Verizon air card and my satellite TV worked fine. All in all, this park is adequate, inexpensive, and conveniently located for exploring the local area. We camped at Twin Buttes RV Park in a Motorhome. What a friendly bunch of folks here; we'd be glad to stay here again. Good location to head to either Douglas, or Bisbee. Several 'long term' campers here, and everyone seems to get along really well. There's a little get together in the evenings to get to know one another. Not much in the way of amenities, but the price is right, and the folks are friendly. We camped at Twin Buttes RV Park in a Fifth Wheel. This park is very basic. Gravel and dirt roads. A few trees. Good location. 12 miles from Bisbee AZ to tour the copper mines and 12 miles to Douglas AZ for Wal-Mart. The folks who run this park are very friendly and make you feel very welcome. Laundry is very limited. OK for a short stop. Extra charge for electricity. We camped at Twin Buttes RV Park in a Motorhome. 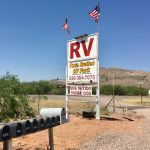 Are you affiliated with Twin Buttes RV Park ?